Hard work pays off. 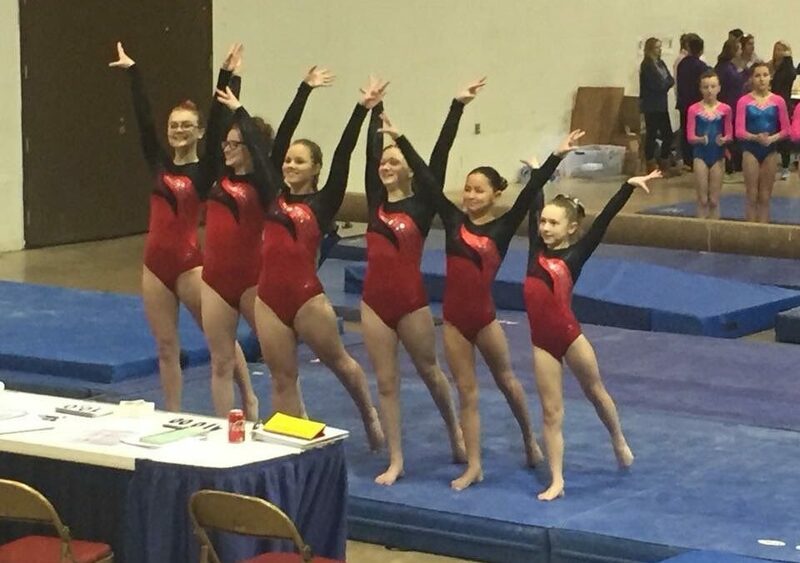 The Yankee Doodle Invitational was another great performance for our girls. All the workouts that we had over the break sure did pay off big time. We had 51 First place finishes, which includes 2 First place Team Awards. 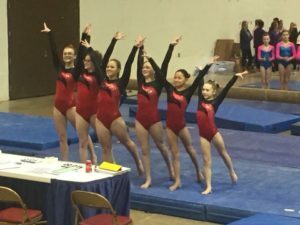 We are so proud of our girls and cannot wait for the next meet. The Bronze Level Team won AGAIN! The team took home 11 First place finishes. The girls are really developing into an amazing team. They were lead my Camryn Poole’s amazing 38.125 performance, which is an all time team highest all around. The Silver and Gold got the opportunity to compete with each other again, and we know that they all had a wonderful time. Vaulting might have started with some bumps, but they really had a wonderful meet. This group of girls are so fun to take to meet and all of them have amazing personalities. They also have some amazing gymnastics. The Silver team came in 3rd place and the Gold team took home the gold with a first place team finish. The Gold team was lead by Sicily Fontaine with a team high all around of 36.55. 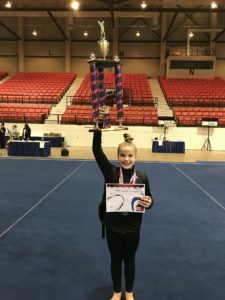 The Silver team was lead by Catherine Koveleskie with a 36.525. 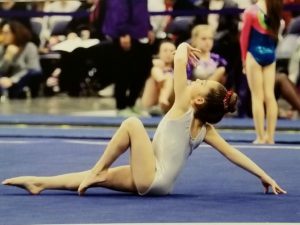 The Platinum and Level 6 gymnasts also go the opportunity to compete together in the Yankee Doodle Invitational. 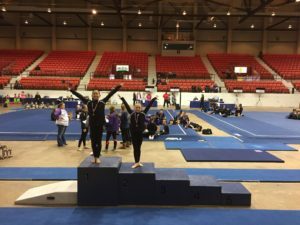 We have seen the girls turn into really experienced gymnasts. 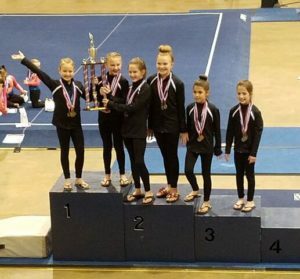 The Platinum gymnast took home first place team, and the Level 6 gymnasts took home 2nd place team. They have all improved the scores so much this year. We are so proud of these girls not only for their scores, but also for being great leaders of the entire team. 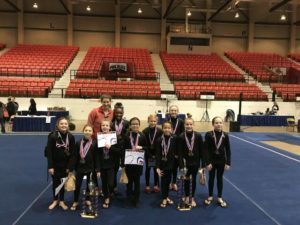 The Platinum team was lead my Allison Leong with an all around score of 34.40, and the Level 6 team was lead by Macaela Richmond with a 35.85 all around. We could not be more proud of the performances at the Yankee Doodle Invitational. We cannot wait for our next competition!! !